The St. Vincent De Paul Food Bank in Sharpsburg needs GSLC members to give Easter baskets full of goodies to children ages 12 and under. 1. Get an empty basket from the Narthex. 2. Fill your basket with non-perishable snacks, candy, small toys, books, or anything that a young boy or girl might like. 3. Keep the green egg label secured to the basket, and write your name on the white egg label. 4. Wrap the basket in the provided cellophane bag. 5. Return your baskets to the church by Sunday, April 7. Let’s make sure all the children receive a full basket for Easter! 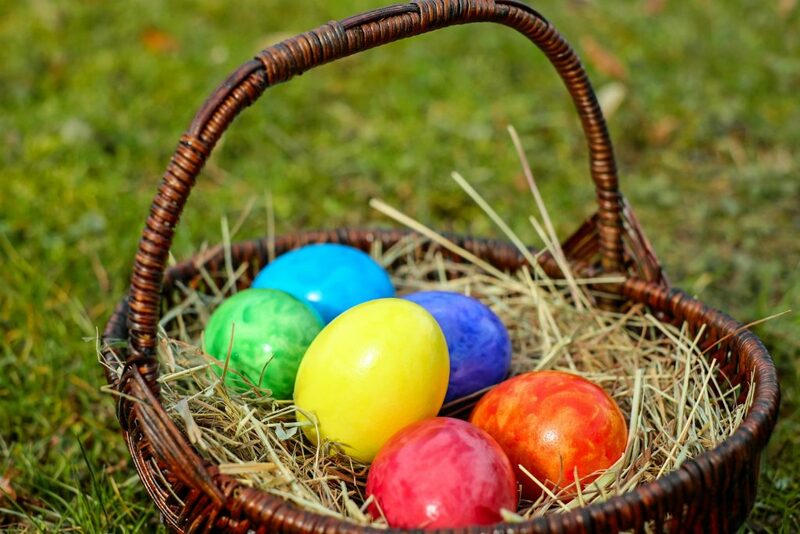 Easter Egg Hunt at GSLC – April 20, 12:00 p.m.
9:00 a.m. Jun. - Aug. Copyright © Good Shepherd Lutheran Church of Fox Chapel 2019 | All Rights Reserved.